2. To receive a 30 days free trial (a $ 7.99 value) for Samsung Kids Service ("Offer"), download Samsung Kids from Galaxy Apps or Google Play store on your compatible Samsung device*, sign-on with Samsung Account, complete setup and provide a valid form of payment,choose a subscription plan and click "Subscribe". You must redeem this Offer before 12/31/2016. To avoid a monthly subscription fee, Participant must cancel subscription at any time during the 30 day trial by selecting "Cancel Subscription" in the "Manage Subscriptions" menu of the App. No refunds or credit are provided for subscriptions cancelled after the renewal date. A Samsung Kids subscription is subject to the Samsung Kids Terms of Service //www.0dlht.cn/us/samsung-kids/terms-and-conditions/. A valid form of payment, a Samsung device and Samsung Account required to redeem Offer. Limit only 1 offer per person. This Offer is valid to all new Samsung Kids subscribers. 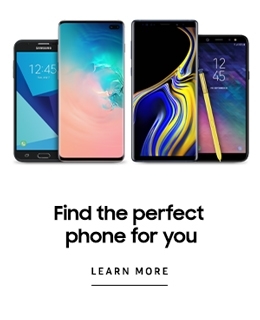 This Offer is non-transferrable and cannot be combined with other Samsung offer, discount, or rebate. Offer only valid in the United States and while supplies last. Void where prohibited or restricted by law.
? 2016 Samsung Electronics America, Inc. Samsung, Samsung Kids, Samsung Kids logos are all trademarks of Samsung Electronics Co., Ltd. All other brands, products and services, and their respective trademarks, names and logos are the property of their respective owners. This content is provided for entertainment and information purposes only. All information included herein is subject to change without notice.